MAJOR SHOUT OUT TO JOEY BATTS for putting this event together again this year and using hip hop to promote positivity and do something tangible for those who deserve our help. I salute all the performers for giving their time to this cause and all the people who attend and bring donations. This is an event that really makes a difference! 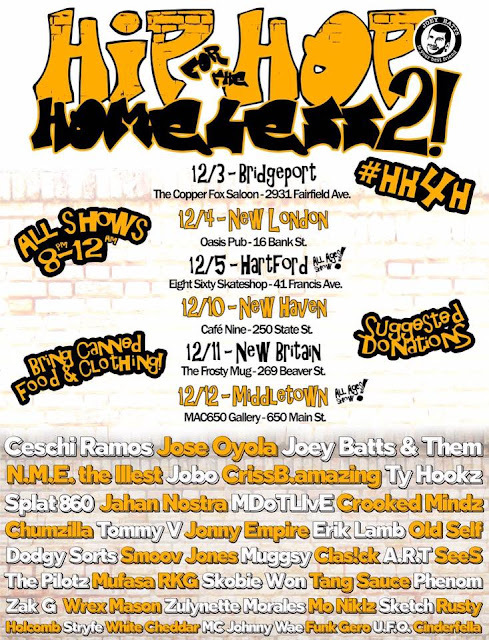 I will be performing on Dec 10 in New Haven and on Dec 12 in Middletown, but will be attending others as well to show support! Hope to see you there! SeeS Opening For Chris Webby at Toads Place! 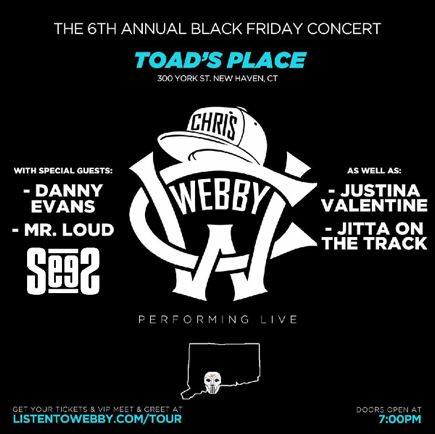 THIS FRIDAY, NOV 27TH, I AM OPENING FOR CHRIS WEBBY AT TOADS PLACE! ITS GOING TO BE A CRAZY NIGHT, BE SURE TO BE THERE!!! THANKS FOR ALL THE SUPPORT! THIS LINE UP OF ARTISTS IS STACKED!! 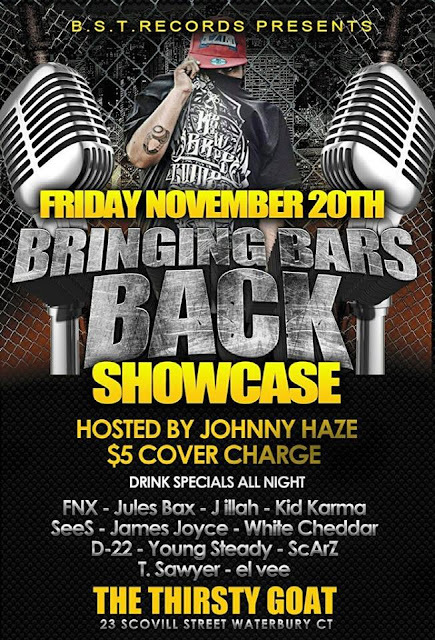 BST RECORDS JUST PUT TOGETHER THE ILLEST SHOWCASE!! MacMillie203 started making music in 2005 taking it to the next level in 2010 with KpsBoss coming together making PortSide Ent. 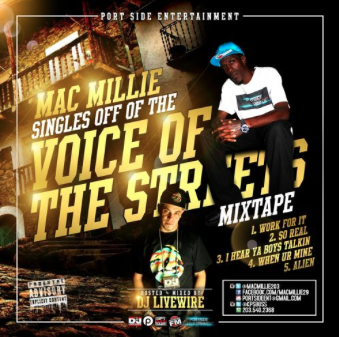 The first mixtape they worked on was boom bionic plague and now they are working on The Voice of the Streets MacMillie203 mixtape/album. Hip Hop artists, T Comix and tAllent, come together to bring you a new release from the Connecticut music scene. The song 'Your Momma', a spoof on the original, has a smooth jazzy sound, and comes from the superb production of DJ Premier. 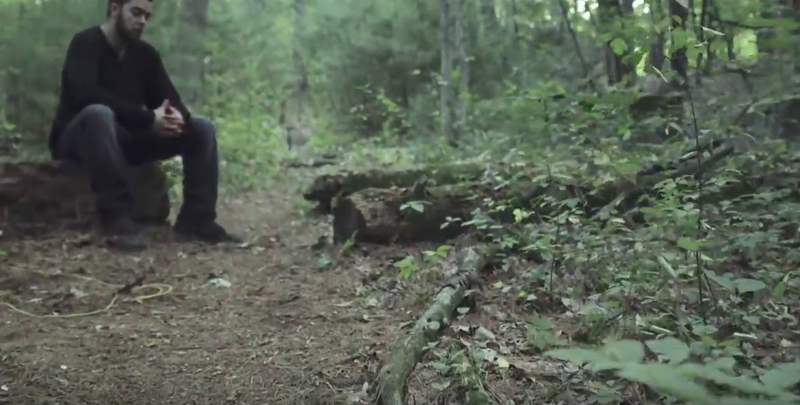 JOVEE BENJAMINZ NEW VIDEO - "ANOTHER DAY"
S/O JOVEE BENJAMINZ with some dope visuals off his new EP dropping NOV 17th! 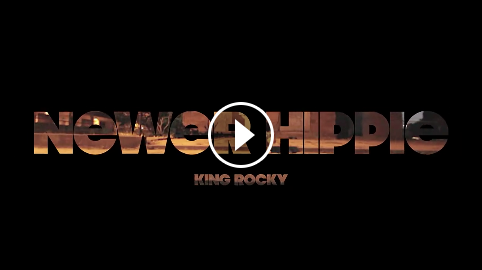 Be sure to check it out and show some support to an artist doing major things! SALUTE! SHOUT OUT "THE RAP CONTEST", LOOKING FORWARD TO ROCKING THE STAGE ON NOV 11TH! COME OUT AND SEE ME PERFORM LIVE!! 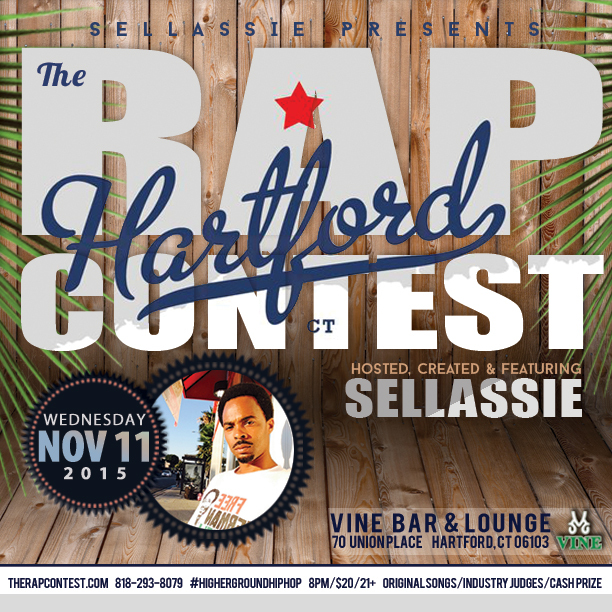 Hartford, CT: The Rap Contest announces a live competition on Wednesday November 11, 2015 in Hartford, CT. The Rap Contest is a live original song competition series started in 2010 by Sellassie with Inhouse Talent. The event is a platform for independent artists on the rise and has showcased some of the top upcoming talent you don't know yet. The Rap Contest has stopped in more than 12 cities from coast to coast including Los Angeles, New York, San Francisco, Berkeley, Chicago, Washington D.C., Atlanta, Austin, Houston, Orlando & Seattle. The Rap Contest, originally called 2Racks Rap Contest, is a fast-paced song competition for upcoming hip-hop artists to showcase original material, perform live and compete for a cash prize. The series is innovative, trendsetting, and authentic and is consistently packing clubs for new music. The Rap Contest number one objective is to provide live performance opportunities for independent artists to become more successful and self-sustaining. The Rap Contest is building a genuine network of independent rap entrepreneurs, encourages artists to listen to each other's music and provides a priceless opportunity, a platform to be seen and heard in front of new audiences. 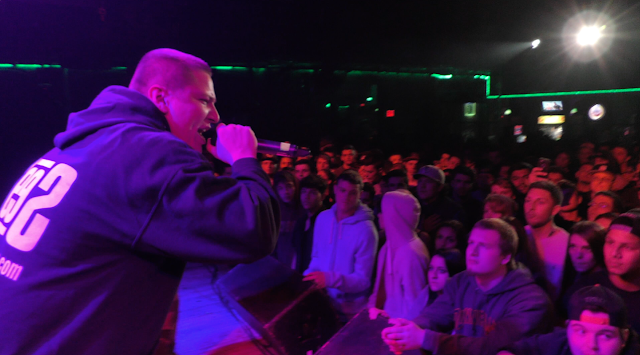 The Rap Contest has produced 73 successful shows in its first four years and has awarded over $82,000 in cash prizes. Partnered with several local and regional promo companies, radio stations, studios and organizations, The Rap Contest has booked over 1000 talented and emerging hip hop artists from across the country that have performed in front of industry professional and celebrity judges ranging from music supervisors, radio station music directors, on-air personalities, producers and artists. The Rap Contest is independent hip-hop, it invests in artists on the rise and respects and contributes to the culture of hip-hop. The Rap Contest creator, host and producer Sellassie, is the world's first higher-ground hip-hop artist; he is a social justice activist, entrepreneur, event producer and pioneer. He has carved his niche as a leading progressive voice in hip-hop and as a force in bringing independent artists together. 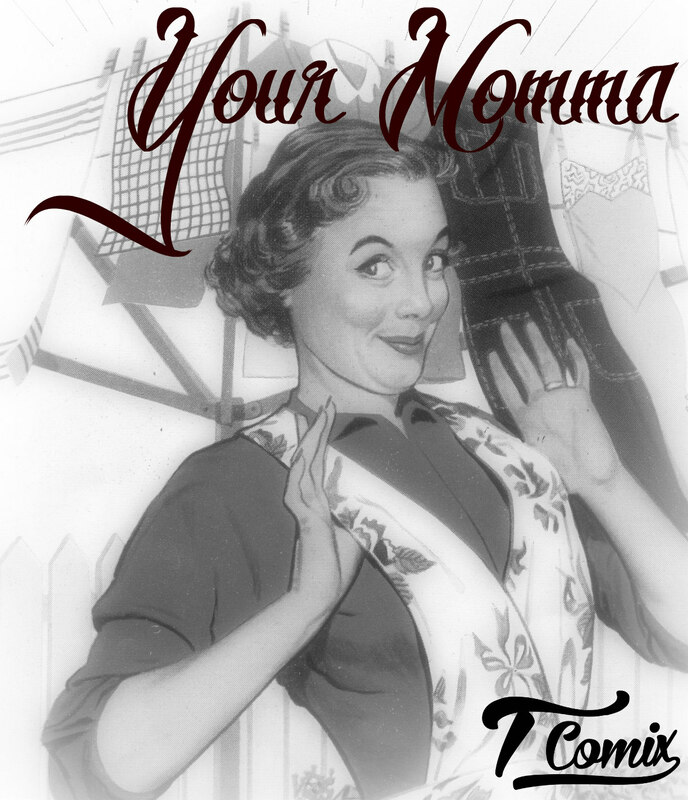 With an acclaimed and award-winning debut release, I'm Tryin' to Make a Livin' Not a Killin', this trendsetting emcee has garnered a street level buzz with a fresh perspective. Sellassie is proof that there are young black artists that can make music that is creative, street, positive and smart. He stands firm to his message, has a charismatic presence and is evidence that not every rapper raps negatively, glorifying drugs, guns, money or their ego. He is also the creator, producer and host of the Independent Artist Series, We All We Got, The Rap Contest and Undiscovered Tour. Producing over 200 shows on the calendar in the last five years in over 15 markets nationwide, the series have distinguished themselves as premier outlets for independent artists. He is also working with many social, political and youth based initiatives, and is a contributor to various special projects including the film, It Doesn't Cost Nothin' to Dream. Sellassie is grounded; a confident and refreshing emcee in an industry plagued with commercialism, materialism, negativity and drama. Sellassie utilizes his music and events as a vehicle for social change and inspiration, and he regularly states that he 'wants to be in the history books, not the pop charts." Sellassie has shared the stage with many great artists; Rakim, Saul Williams, KRS-One, The Goodie Mob, Mos Def, Sly and Robbie, Vieux Farka Toure, dead prez, Redman and Method Man, Michael Franti and Spearhead, Ziggy Marley, Alanis Morissette, Raekwon, The Indigo Girls, Radio Active, Rebelution, Warren Haynes, Goapele, The Hieroglyphics, Mr. FAB, Camp Lo, Pharoahe Monch, Ise Lyfe, Namkha Rinpoche, Medusa, One Block Radius, Lyrics Born, Kev Choice, Martin Luther, Silk-E, The Mighty San Quinn, The Jacka, The Husalah, Bayonics, Zion I, Rah Digga, Rappin 4-Tay, Jelly Bread, Vinnie Paz, Keith Murray, Richie Rich, 2Mex and Jennifer Johns among hundreds independent artists. NO GIMMICK MUSIC COALITION IS MAKING NOISE WITH THEIR NEW RECORD 100%! 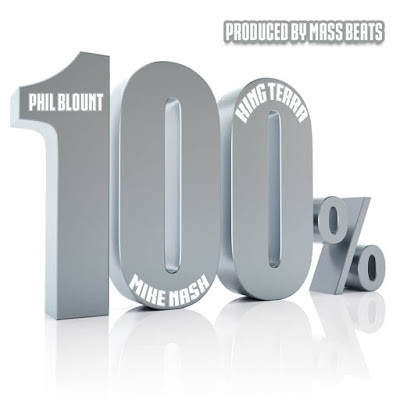 Be sure to check it out and show some support to a crew that always gives it 100%! No Gimmick is one of the illest movements in CT! 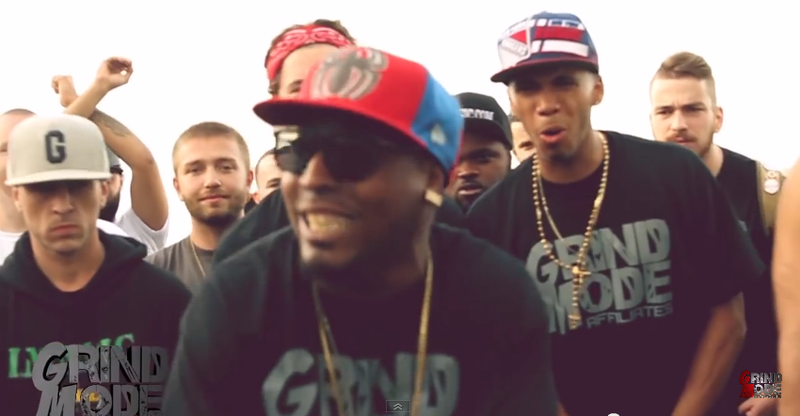 GRIND MODE is quickly becoming one of the most recognizable cyphers in New England and across the country! 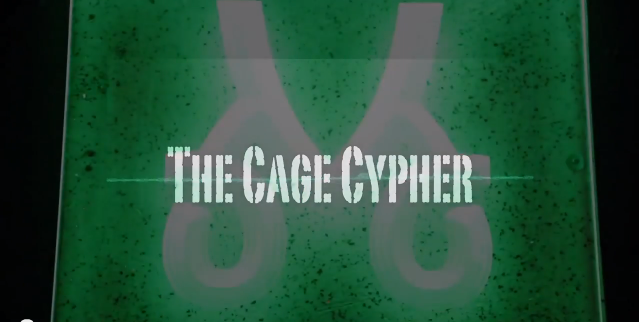 Talented Emcees continue linking up with Lingo to create some of the strongest cypher videos around. 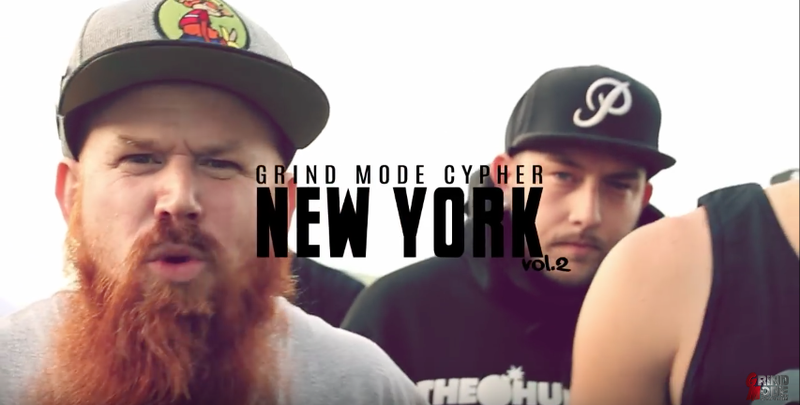 Be sure to be on the look out as I jumped in one of these cyphers that is coming out soon in the NEW YORK SERIES! Salute all the artists! !